The Girl Scouts of Nassau County (GSNC) recently announced the addition of brand new Summer Camp Mini Session for Cadettes. The mini session, offered to all individual Cadette Girl Scouts, ages 11- 13, will be held at Camp Blue Bay in East Hampton, NY on August 4-7, 2014. The August mini session, Adventure Fun, will focus on team-building games and activities on a low ropes course. Girls will get to challenge themselves and their teammates as they complete each element of the course. Girl Scouts will spend the four days and three nights at Camp Blue Bay participating in campfires and cookouts, nature programs, boating, swimming, arts and crafts and many more traditional outdoor camping activities. In addition to the Adventure Fun Mini Session, GSNC offers full sessions of sleep-away camps for one, two, three or four weeks at Camp Blue Bay and day camp programs at Summer Fun Day Camp at Wantagh. Both Girl Scouts and non-Girl Scouts can join the camp programs as individual campers. Crossroads Farm at Grossmans – Located in Malverne, Crossroads farm has been the home of some of our Girl Scout Gardening activities. Because they grow a variety of fruits and vegetables for sale, Crossroads Farm at Grossmans will help those Girl Scout Seniors working on their Locavore Badge understand the process of how food gets to the dinner table. 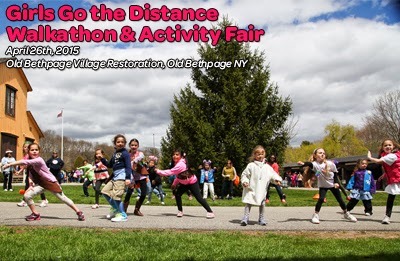 Old Bethpage Village Restoration – This has been the site of the of GSNC’s Girls Go the Distance Walkathon and Activity Fair for the last couple of years… with pigs, chickens and more, this is a fun place to bring the kids. Take some time to walk through the village and see how things used to be. Old Bethpage Village Restoration is also the home of the Long Island Fair! 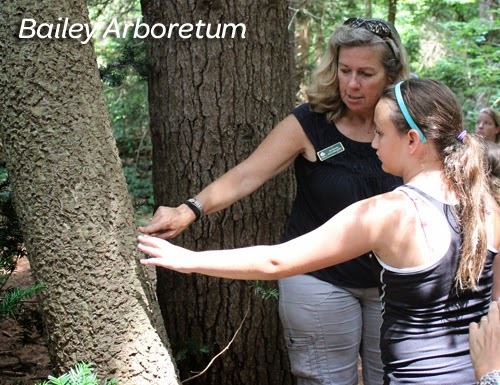 Bailey Arboretum – The location of GSNC’s Camper Badge program, "Between Earth and Sky", and the much anticipated" Survival Challenge" program, Bailey Arboretum is a beautiful place to explore. If you pay attention, you might even find a cork tree or a Dawn Redwood tree making it the perfect fit for those Cadettes who would like to work towards their Trees Badge. 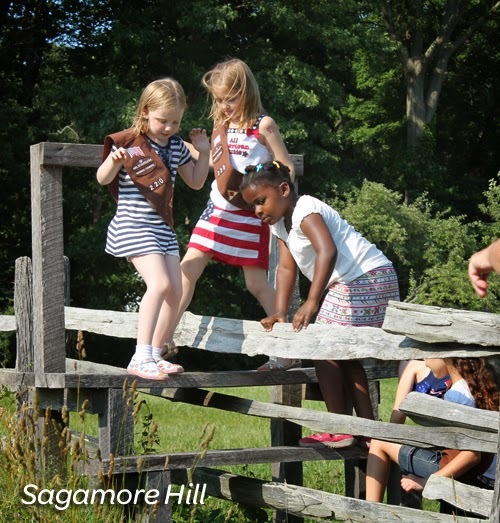 Sagamore Hill – Sagamore Hill was the home of Theodore Roosevelt, 26th President of the United States and GSNC’s "Wave the Flag" program, there are acres of land to explore at this historic landmark. The house may be closed for renovation, but the grounds around the home are still open making it a great place to explore, work on your Brownie Hiker Badge and walk in TR’s shoes. Juliette Gordon Low Park in Lynbrook. This park is the result of Troop #2237's “Take Action” Project in which they cleaned up the lot of land and worked with their local community to have it dedicated and named for the founder of Girl Scouts. Old Westbury Gardens – The location of GSNC programs like "My Family Story" and "Holiday Bliss," Old Westbury Gardens is just that… a garden filled with many beautiful and vibrant flowers making it a great place to work on a Journey Flowers Badge. You’ve submitted your Gold Award Proposal to the Gold Award Committee for review… What’s next? The Gold Award Interview! One of the best ways to minimize the amount of stress leading up to your Gold Award interview is to prepare for it. Just like at any other interview, you should dress nicely…we recommend your Girl Scout uniform, or a nice outfit with your Girl Scout pins. 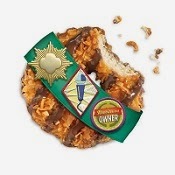 During an interview for a job or an internship, you might bring your resume, but during your Gold Award interview, you will want to bring your completed Girl Scout Gold Award Guidelines for Senior & Ambassador booklet and any other notes you may have from your Silver Award project and Journey books. At GSNC, your interview is open note; you can think through and write out as many different notes as you would like and bring them with you. During the interview, you will be asked a series of questions. We are going to ask about the Journey(s) you worked on, your Journey Take Action project, your Silver Award project (if you completed one), and finally, your proposed project including the root cause you will be addressing, your plan for addressing the issue and how your project is sustainable. · What is the community issue you will be addressing? · What do you think is root cause of your community issue? · How will you address this community issues? · What makes you passionate about this community issue? · How will your project be sustainable? · How does your project’s issue and impact connect to a national/ global issue? Congratulations Girl Scouts of Nassau County! Our Girl Scout Troops rocked the Cookie Program. Standing strong through the Polar Vortex and numerous snow storms, we were able to rise to the challenge, learn the 5 Skills and reach our goals. This year those in the 500+ Club were recognized at a dessert reception at the Chateau Briand, and had their photo taken with Donna Ceravolo, CEO. The girls who sold 1000+ boxes will be treated to an "elegant day in Manhattan" later this month that will include a private museum tour and High Tea at The Pierre! What Can a Girl Do... in Girl Scouting?